Brothers Jared and Michael Bell of Lymbyc Systym have had the advantage of making music together since they were preteens, sure, but still, the synergy and skill they brought to this DIY show at Studio BPM was startling. Their sound, a blend of electronic music, jazz and experimental rock, evinces such diverse acts as Tortoise and Explosions in the Sky. What is remarkable about the brothers Bell, though, is that they sound like a five-man band using only two players: Mike on the drums and Jared on the various keys. Originally from Tempe, AZ, since their founding in 2001, the band has traveled the country with a wide array of like-minded acts such as The Album Leaf and Broken Social Scene, and recently completed a monthslong tour of Asia. This set included two of the band’s contributions to their recent Field Studies split EP with This Will Destroy You, “Narita” and “Notations”. Studio BPM made an ideal setting for this music, with an intimate atmosphere, high quality sound system, and rapt crowd. I recorded this set with a stereo soundboard feed blended with the DPA mics on a stand on the floor. The sound quality is outstanding. Enjoy! 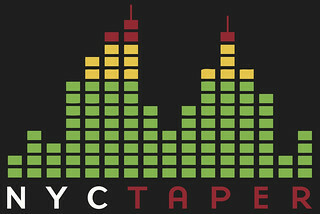 If you download this recording from NYCTaper, we expect that you will PLEASE SUPPORT Lymbyc Systym, visittheir website, and purchase their official releases from them here.